We believe that if you are willing to put your faith in us, it’s our obligation to exceed your expectations. We promise to always act with integrity and to deliver high-quality products and exceptional service. Viking Kitchen’s roots in the building and home improvement industry date back to 1961 with the founding of Viking Aluminum Products, Inc. The Trachten family continues to cherish the core values that have guided them and the Viking family in our commitment to our customers and our industry. Viking entered the kitchen and bath cabinetry business in 1992. 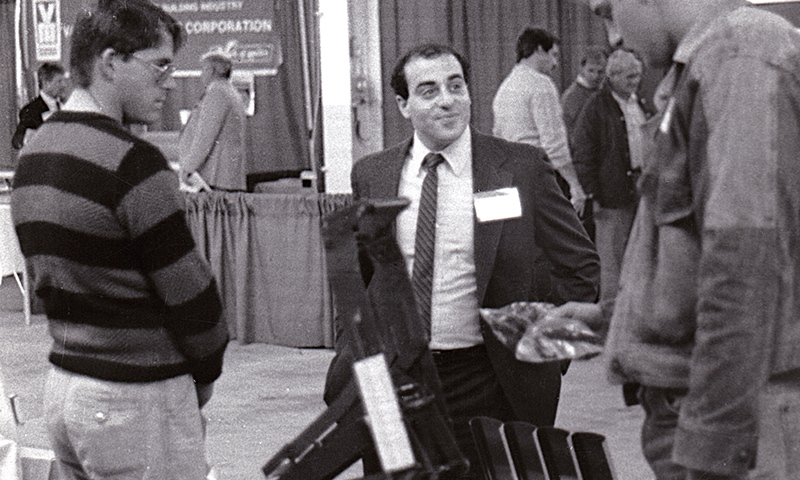 After the sale of Viking Building Products in 1997, David Trachten purchased the cabinet division to create Viking Kitchen Cabinets. 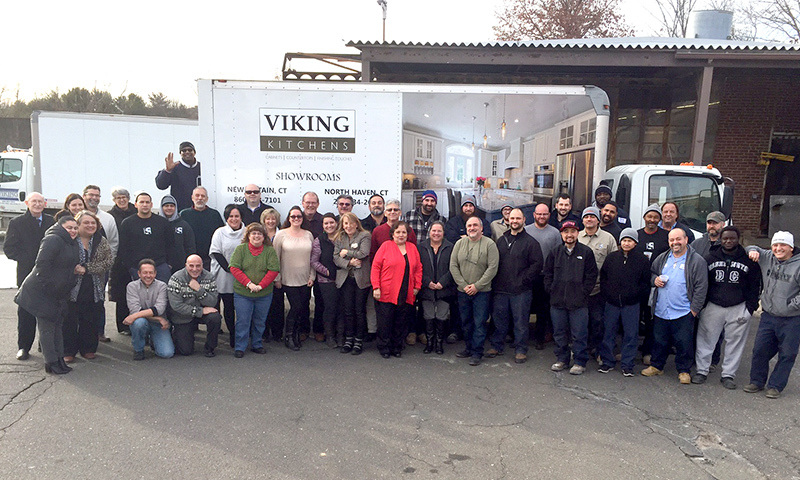 Today, Viking Kitchens is a market leader in Southern New England, serving builders, remodeling contractors, multi-unit developers and managers, retailers, and consumers. We are committed to delivering an unparalleled value and experience to our clients. Viking continues to invest in staff development, technology, product development and logistics in order to deliver the highest level of service and value. 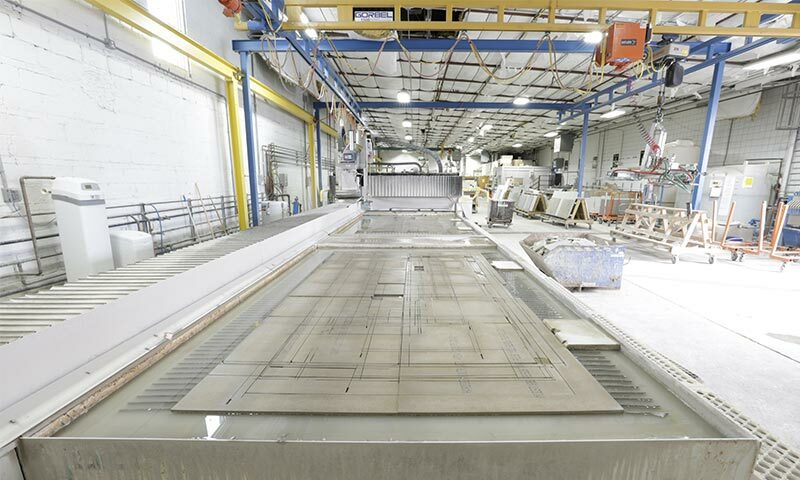 State-of-the-art equipment ensures consistent quality and manufacturing efficiency. We firmly believe that the quality of any business rests on the quality of the people behind the name. And we are confident we have the best team in the business. Viking’s success is built on our team’s shared core values of honesty, integrity, respect, and commitment to excellence. Here’s what we stand for: an obsession with quality, craftsmanship, and attention to detail. 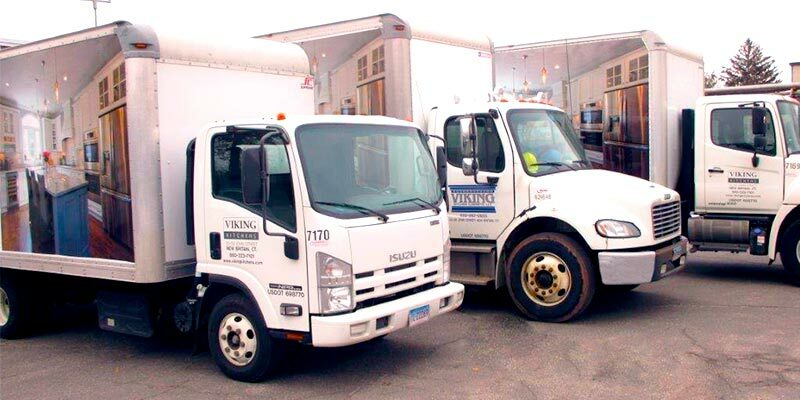 Viking’s fleet of trucks and our outstanding, friendly, and uniformed drivers and warehouse staff make sure we deliver what you need, where you need it, when you want it.